Assisted Living – Lloyd Ganton Retirement Centers, Inc.
Our Assisted Living Centers are State Licensed Homes for the Aged, which makes us different than most assisted living centers. "Ask to see the License" when you are inquiring about a facility. All of our Centers meet regulations and have Licensed Directors of Nursing. Our Medical Director has an onsite office and of course, we have a lovely atmosphere, good meals, activities, companionship and much, much more. It is a special combination of housing, personalized supportive services and health care designed to respond to the individual needs of those who need help with activities of daily living, but do not need the skilled medical care provided in a nursing home. It promotes maximum independence and dignity for each resident by living in your own apartment and "aging in place." There are several different levels of care available. We foster independence and encourage family participation as much as possible. All apartments are on one level, barrier free, carpeted, decorated, kitchenettes with full refrigerators, walk in showers, emergency call system in rooms, individually controlled heat and air conditioning, smoke detectors, sprinkler system and more. The common areas have lounges throughout the halls, Beauty/Barber Shop, Activity and TV Rooms, Private Mailboxes, Bather Room, Atrium, Library, Outdoor Courtyards and so much more. Four levels of care are available to fit your individual needs and allow you to remain in your own private apartment as long as possible. The basic rent in your own private apartment with private bathroom includes; three restaurant-style meals served daily in a beautiful dining room, emergency call-system, 24-hour staffing - 7 days a week, medication administration, weekly housekeeping, laundry, a full-time Activity Director to facilitate socialization and recreation, health promotion with an individualized service plan and much more. 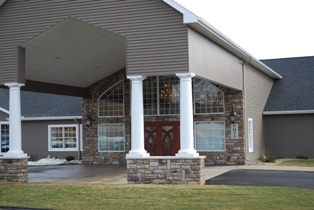 Legacy Assisted Living/Alzheimer’s Center is conveniently located just off I-94, only minutes from Allegiance Hospital, Grass Lake, Chelsea, and Dexter. Our center is in a quiet country setting, close to local stores, banks, parks and restaurants. 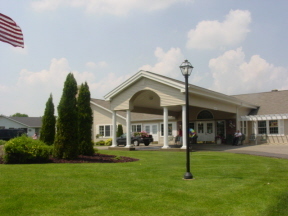 Summit Park Assisted Living Center is located in beautiful Summit Township, conveniently located near popular area parks, restaurants, golf, shopping and Ella Sharp Museum.